Over the years, many of my clients have asked me mid-session, “When will this get easy? !” My reply? “Never. Not if I’m doing my job right!” Yes, no one ever graduates from Pilates, having accomplished the highest feat with no where to progress. As instructors, it is our job to continue to challenge and progress our clients. Have you felt stagnant in your Pilates practice? Let’s explore how to continue to advance. Many people would inaccurately assume that you can simply increase the weight resistance in any Pilates exercise to make it advanced. However, in Pilates we often rely on our spring resistance for stability and assistance. To increase difficulty, try decreasing your spring resistance and maintaining the same control. Add in half a second or more of pause mid-movement to see if you can hold the carriage still with decreased spring resistance, such as at the top of Short Spine or a Bridge. I often remind my clients: the hardest part of Pilates is not moving what needs to move, but keeping still what needs to stabilize. Find the deeper work by doing more with less. Combining multiple exercises into a flowing series is another great way to advance your practice. Perhaps you can perform a Roll Up at the end of each Footwork position. Now try again with decreased spring resistance and be sure not to move the carriage! 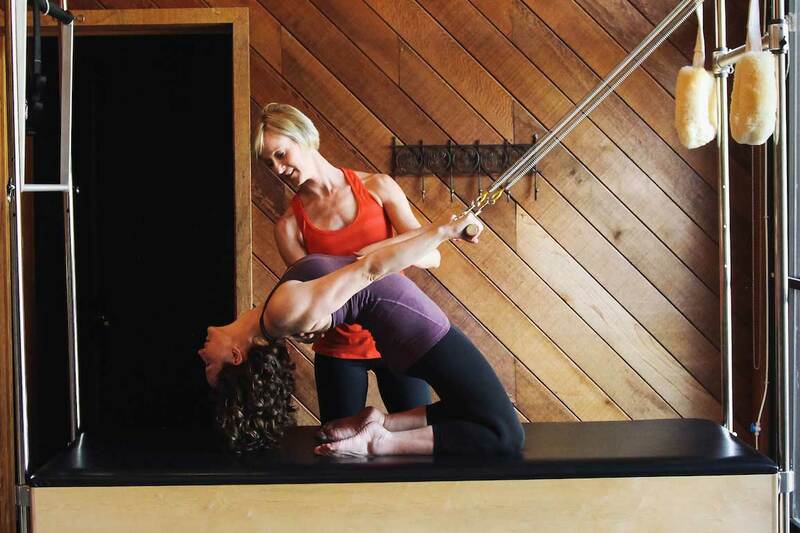 Flow is an important and challenging Pilates element. Go back to basics to keep moving forward. Visit beginner exercises and see if you can find a deeper connection to your Core muscles while performing them. Are you working as hard as you can close to the center of your body (proximally) as opposed to at the ends of your body (distally)? For example, revisit plank to see if you can dig even deeper into the muscles of your shoulder girdle (lower traps, serratus anterior, and rotator cuff) and thereby take the work and weight out of your wrist. Speaking of basics, how well do you breathe? Can you find a deeper connection to and understanding of your diaphragm and breathing patterns? I attended our recent workshop on the diaphragm, and with help from the Franklin Method® I accessed a stuck corner of my diaphragm. Working with the entire diaphragm in mind has allowed me to feel the muscles of my torso in a whole new way! Add stability and balance challenges to your repertoire. To truly benefit f rom these challenges, you should decrease the spring resistance as well. Working on unstable surfaces, such as a foam roller, air cushion, wobble board, etc. will challenge and therefore involve your neurological system with unending benefits! 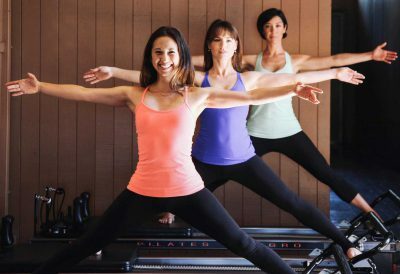 These general principles will challenge any accomplished practicer of Pilates. However, we should also think of our individual weak links or shortcomings to truly advance. Do you always like to move fast? Slow it down. Perhaps you like to move slowly; then move to a tempo. Address coordination by moving multiple parts of your body simultaneously. Decrease rest time to improve and address stamina. Just as our body is always changing, so should our Pilates practice. Continue to advance both your body and your practice, not necessarily with more weight or reps, but with less! Less resistance; less support; and deeper, closer, centered work. Great article Jenny. So true that you never graduate from Pilates. You gave me new ideas for deepening core work. Love reading about Pilates when I’m not practicing Pilates! Super informative post Jenny, this really helped me to decide to carry on with the classes when I was getting somewhat disheartened.